We Believe that the best things in life are simple and few. That’s why we offer three of them right here; Drinking Beer, Eating Food and Living Grand. 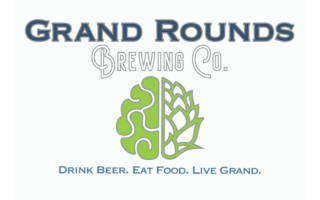 Just grab a pint from our bold brew selection, add incredible food from our fresh menu, include the people you love in our fun 150-year-old space on the corner of Historic Third Street & Broadway and you will soon be in a “Living Grand” state of mind. It’s that simple. We salute all of the hardworking folks that make Rochester and our surrounding community so wonderful, interesting, fun and safe and one of the best cities in America. You are ALL our people. We mean it. Come and drink amazing beer, eat delicious food and be happy with us and your friends. We couldn’t do this without you!